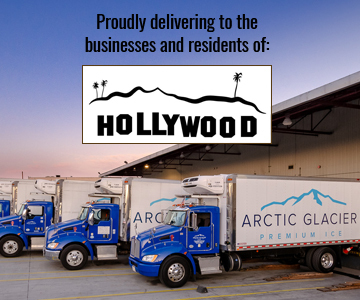 Throughout Hollywood, businesses and private residences have come to rely on Arctic Glacier for all of their ice delivery needs. 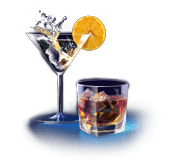 We are proud that many Hollywood hotels prefer to use our ice to garnish their restaurant and bar drinks. But as experts on ice manufacturing and distribution, we understand that there are many other important uses for ice that go beyond the world of hospitality. We know the ice needs of the event planners, grocery stores and contractors throughout Hollywood. When you call our professional associates, you will talk to someone who knows your business and knows how important ice is to your success. Our experts are ready to meet all of your ice needs, and that includes helping to develop a delivery schedule that will keep you constantly supplied. Each client is different, and we take the time to understand your business so that we know exactly when to bring more cubed or crushed ice to your facility. We never want you to pay for more ice than you need, but we also know that sometimes your business can unexpectedly run short of ice at the worst possible times. Instead of panicking, all you need to do is pick up the phone and we will deliver the ice you need as fast as we can. 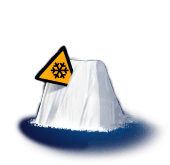 At Arctic Glacier, there is no ice job that is too big, or too small. Whether you are putting together a graduation party for your backyard or a music festival in a Hollywood park, we have you covered. Let our experts help you do the planning and then deliver your ice right when you need it. Along with our regular commercial clients, we also service a wide variety of public and private special events throughout the Hollywood area. 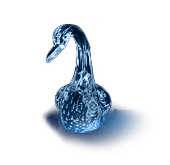 It is often said that there is magic in Hollywood, and we would like to think that our high quality ice and reliable delivery services are part of that magic. We work hard to maintain our growing list of satisfied customers, and we are ready to service any of your ice needs. Call us today and let us show you how we bring a little of that magic throughout all of Hollywood. Enter the quantity of people that you are entertaining, and our ice calculator will calculate approximately how much ice will be needed for your party! The “Snow Scene” has transformed countless private residences, city parks and company events into a holiday Winter Wonderland. With the custom look of statuesque crystal, ice sculptures have become the decorative focal point at the finest events. 2019 Copyright Arctic Glacier Inc. All Rights Reserved.